The story of Pure Argan Co begins with its founder, Ikram Benzila, a Moroccan well versed with time honoured Argan Oil beauty regimes passed down from mother to daughter for generations. Frustrated with the difficulty of finding pure Argan Oil of similar quality she had been used to in Morocco, Ikram began looking into finding a way to bring authentic Argan Oil to the market. Pure Argan Oil was born out of Ikram's dream; the Company was formed with two core principles. Sourcing the best quality oil and doing it in a way that is both, fair and sustainable to the women who diligently produce the oil but, also, in a way that honours the Moroccan culture and traditions of Ikram's motherland. 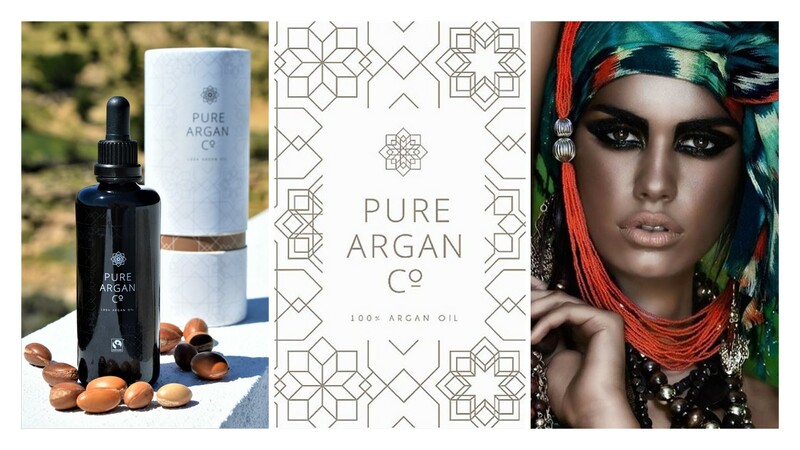 Taking inspiration from the intricately crafted tiles that can be found across Morocco, Pure Argan Co's pattern has been designed to take you through the journey of producing its Argan Oil. From organic growth, harvesting, cracking the nuts by hand and, finally, to machine pressing the kernels; each step is represented beautifully, paying homage to the Moroccan culture whilst showing the Company's key values: Luxury, Beauty, and Purity.